Recognized As one of Canada’s foremost animal painters, Melinda Brewer has been painting professionally since 1982. In the last fifteen years her body of work has reflected her first passion-the horse. 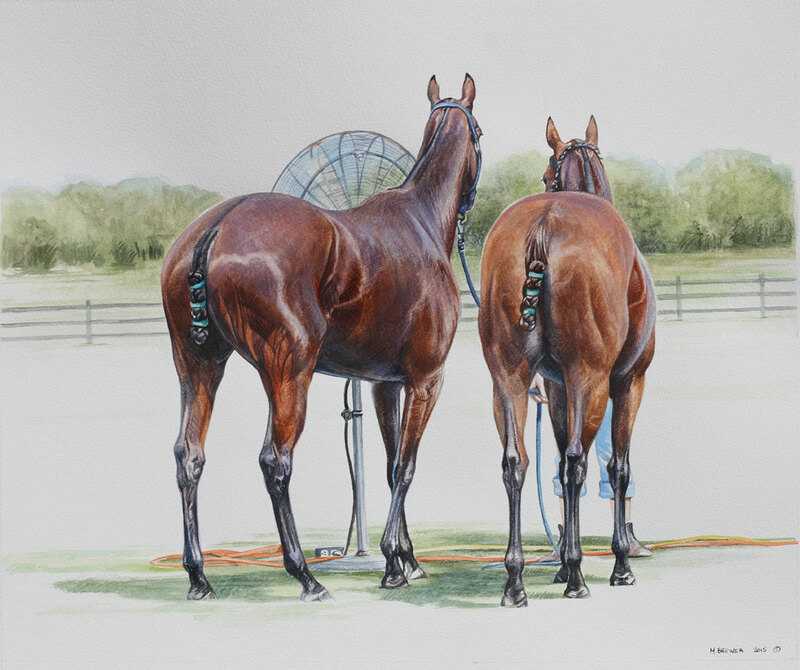 Since 1992, she has completed over two hundred commissioned portraits and most all of those watercolors feature her favorite subject -the polo pony. Her polo art has been exhibited at the American Academy of Equine Art, the Kentucky Derby Museum and is currently on permanent exhibition at the National Museum of Polo and Hall of Fame, in Lake Worth Florida. This exhibition comprises the Horses to Remember collection, polo pony portraits of the annual inductees to the Hall of Fame. Her work is also part of the permanent collection of International Polo Club Palm Beach and includes the portraits of all the Best Playing Ponies of the high goal polo season in Florida. Over the years, Melinda’s work has been exhibited at several Canadian and US polo tournaments, and she has been acclaimed and recognized by many polo players, polo enthusiasts and polo art collectors. Her work is highly regarded by many because of her understanding and sensitive portraiture of the horse, the real-life and unique depiction of the elegance and nuance in the sport of polo and of course the individual detail captured in each watercolor painting.